Nick is a Managing Director at Secretariat International who are headquartered in Atlanta and have offices across Los Angeles, Denver, Mexico, New Jersey, New York, London, Dubai, Singapore and Hong Kong. Secretariat’s professionals specialise in international arbitration, general commercial arbitration & litigation, forensic accounting, economic damages, construction and government contracting. 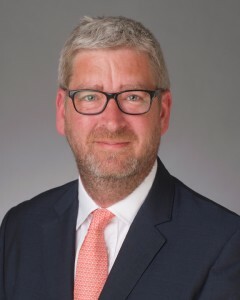 Prior to this, he was the Senior Clerk at Keating Chambers in London, a world leading barristers chambers specialising in construction, engineering, energy, shipbuilding and procurement disputes across the globe. Nick’s connection to KidsOut is through his late father Graham Child, and the late Peter Jarvis OBE, who were the founders of KidsOut. Nick is also the creator of Law Rocks!, a global charity with events held in London, New York, Los Angeles, Boston, Philadelphia, Tokyo, Hong Kong, Vienna, Dubai, Sydney, Melbourne, Singapore, Washington DC and San Francisco which raises funds for various charities by way of a Battle of the Bands among law firms at world famous rock venues, and has raised over $5m for charities since its conception in 2009. Nick lives in Hampshire, is married to Katherine who is a lawyer, and has 5 children and as a result has no spare time.